CR: Found my next goal…an Ultra? 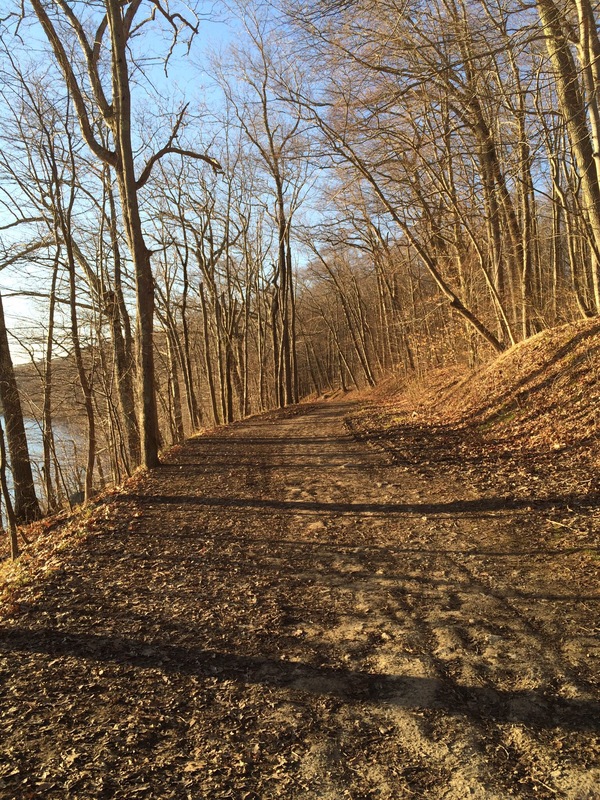 My choice when running more often than not is the “open road” versus the trail. Why? Because simply I don’t live near trails and Boston, where I run often, is basically full of pavement! (And thus I don’t really have a choice) Do I like one versus the other? I think I like trail running better honestly! Yet, I am on the roads almost 95% of the time each day, week and month. Another choice I made was to run a marathon back in December. I did indeed enjoy it for the most part. However, following the race, I hit a crossroad of sorts. On one side of the road was “you met your goal and why continue to run so much?” On the other side of the road stood “pain” and was I indeed in pain! As you can see, these crossroads were not “positive.” And up till last night, after a week of sitting around nursing an injury from that same race, running was fading from my daily routine. That all changed with the #ultrachat! I have listened to a bunch of audible.com books on Ultra Running over the past year and have gained very useful information from these sources. I have wondered how do these guys and gals handle the long training and the actual races! The Western States 100, mentioned tonight during the ultra chat, is a “gem” of sorts for those who run these races and probably the most popular to those who are just aware of long distance running. I would be one of those who are aware of it and I think now I want to be more than aware of it! Could the cross roads be solved with a new goal of running an ultra? So why would I do such an extreme action? I struggled through a marathon afterall. Well, the reason I run is to be healthy. If I don’t run, I am not exactly solving my “health needs.” So I need solid goals (and new adventures) to keep the running interesting! And prepping for an ultra might just be that! Of course, keeping PsA at bay is also my ultimate goal of sorts but sometimes one needs more! Biggest Obstacle to Training and Nutrition (Runchat): This is an ongoing obstacle of sorts because I have not been able to overcome it. Simply stated….binge eating continues to be my “blue whale” and it is clearly and obstacle in my training! Perhaps life is just getting in the way but I need to do better here. If I want to run an ultra, I need to start eating better! Running hungry or “rungry” is an obstacle that I am working through and hopefully I find a solution. To Coach or not coach…that is the question! (RunatCan): This topic came up tonight and I seriously debated this one. My end result Of this debate was simple: if I am running for the “love of the game” the I don’t need a coach. There is more than enough resources on the web. If I am going for an PR, perhaps meeting a coach would not be a bad idea. If I want to win the race, the I should probably hide one. More than running? (RunatCan): Do I do other things besides running? Up until about 3 weeks ago, the answer was probably know. I run 4-6x a week and occasionally lift weights. I added in soccer 3 weeks ago and thus have diversified! During my week off from running (this week), I did some weights which was the first of such training for my body in ages! So is there more than running? Yes indeed! Speaking of running, how about resting? (RunatCan): This week was my week off from running so perhaps that also should have been incorporated into the previous note! I have been nursing smaller injuries and figured it was time to fight back! And take a rest! That is my Bragtime for this week because I can’t believe I actually did it. Now back to the grind on Monday! Getting Lost on the Trail? (ultrachat): Question was posed after a runner got lost at the Western States 100. I don’t train on enough trails to get lost but I generally being a phone with me so I would just jump on my phone and find myself on the GPS. But it has happened before in the mountains of New Hampshire where there is no coverage and I need to use my gut! Not fun but keeps things interesting! Bears or Beers? (Ultrachat): I have mentioned this before but it came up against last night. Subject was encounters on the trails and one mentioned a bear and her cubs came into their path while running. I had the same occur with me last summer while attempting to scale Attitash Mountain! I ran the other way fast and have not attempted this run since. I have a feeling though that I will give the run another try next time I am up there! Great views at the top afterall…oh, and once done, I will celebrate with a few beers! Well, that was it. Once again these chats have served me well and reinforced my motivations to run and run well! Previous Post 5 for Friday: Exit stage left! Next Post Raving about Handhelds!